This December, Pueblo Grande Museum received a significant donation of 120 Maricopa pottery vessels, the final donation of a three part collection. 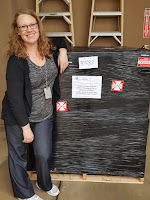 The entire PGM staff was so thrilled with its delivery, it was like Santa came to visit the Museum. PGM collections staff didn't want to keep the fun and excitement all to themselves, so they were kind enough to share some photos of this joyous occasion. 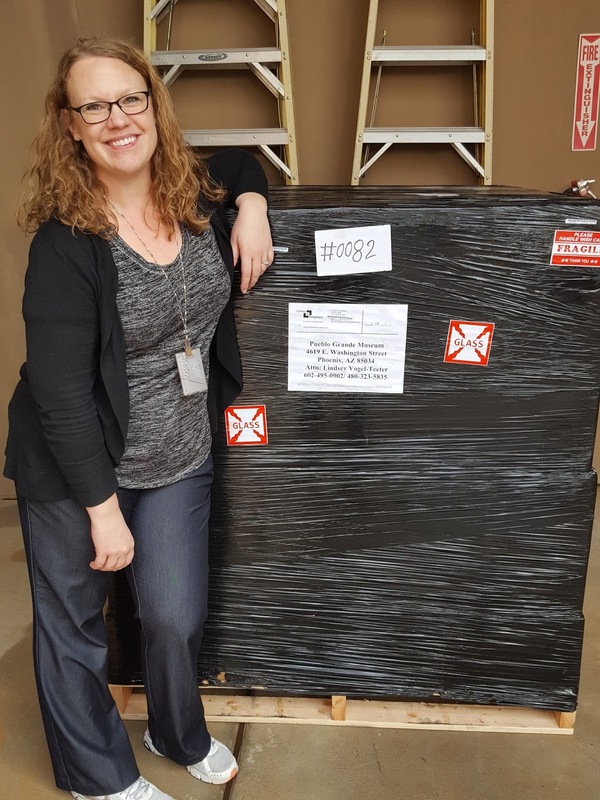 This latest delivery came in 6 large boxes, wrapped up all pretty with black plastic, and covered in red warning stickers: Fragile. I think it's italian. 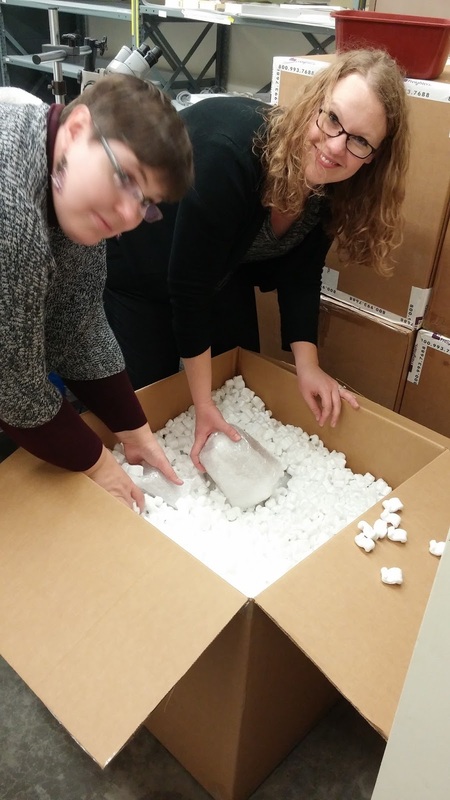 ;-) After getting through all that wrapping, collections staff had a grand time "excavating" each box. 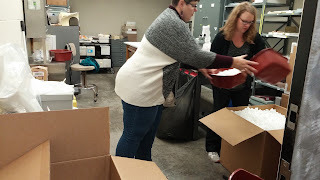 Using plastic tubs to dig through the packing popcorn, these ladies had no idea what each box contained, so they had to be very careful as they uncovered the packed pottery vessels. 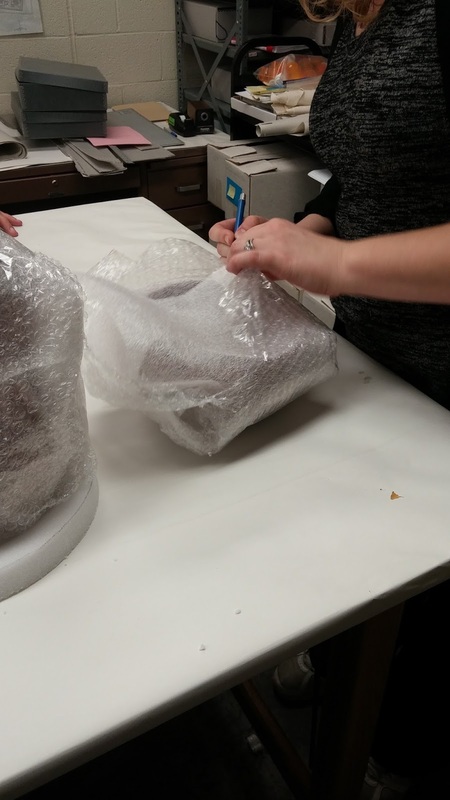 Vessels of various shapes and sizes, wrapped in bubble wrap were taken out and carefully placed on the table in the processing lab. It wasn't until Curator of Collections Lindsey V. sliced through the casings with surgeon like precision that we knew what kinds of forms, designs, and artists we had. 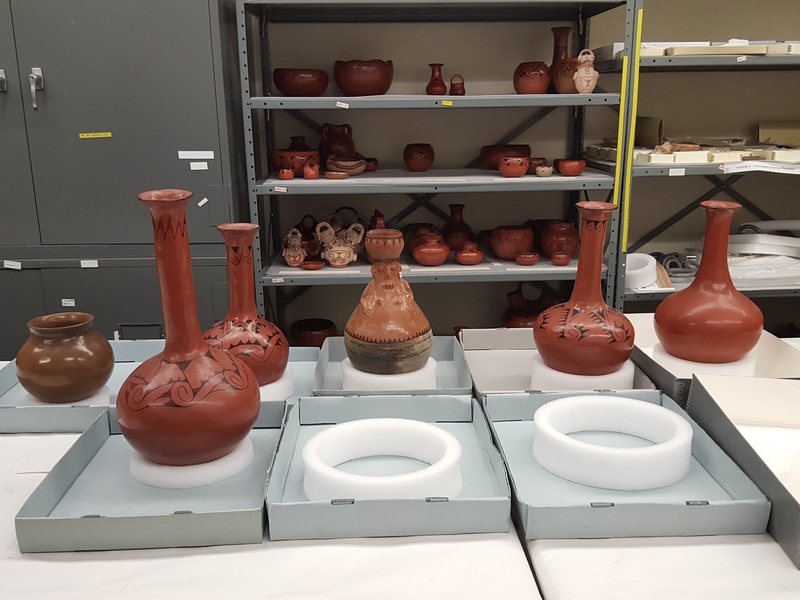 All these beautiful, shiny, delicate pots needed the proper support, and a safe place to live! 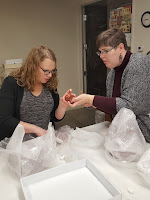 Luckily, collections staff had some help from PGM Visitor Services staff to make dozens of new, specially fitted pot rings. 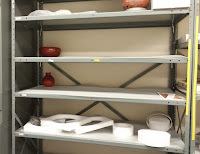 And by the end of the day, those empty shelves were filled, and then some! The pottery in this collection was created by women of the Maricopa (Pee Posh/Piipaash) tribe. 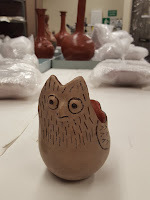 A total of 16 potters are represented in the collection. The artists are - Nancy Bill, Vesta Bread, Theroline Bread, Barbara Johnson, Phyllis (Cerna) Johnson, Mary Juan, Alma Lawrence, Grace Monahan, Emily Percharo, Anita Redbird, Malinda Redbird, Ida Redbird, Beryl Stevens, Gertrude (Ruelas) Stevens, Mabel Sunn and Evelyn Yarmata. 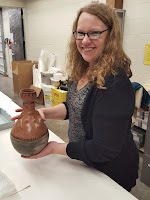 The pottery was collected by Mary (Jonne) Spotts. Her family owned the general store in Laveen, Arizona, near District 7 of the Gila River Indian Community, where many of the potters and their families lived. 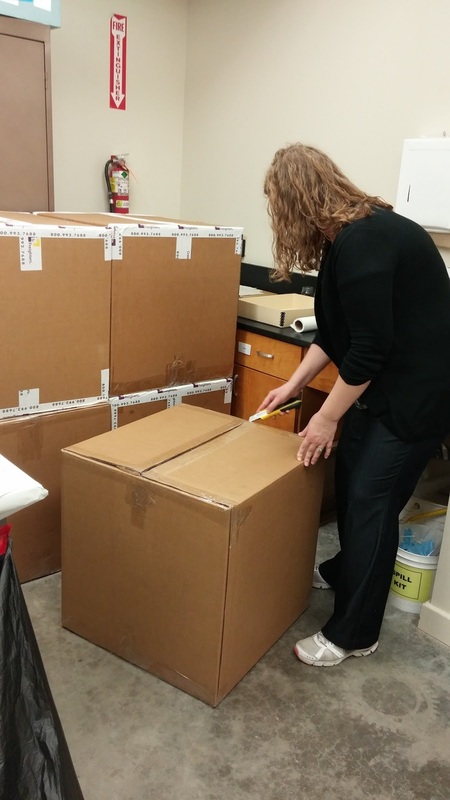 Mrs. Spotts knew the Maricopa potters personally, painted several of their portraits, and at times delivered their mail. She built her collection, obtaining pieces directly from the potters, mainly during the 1960s and 1970s. 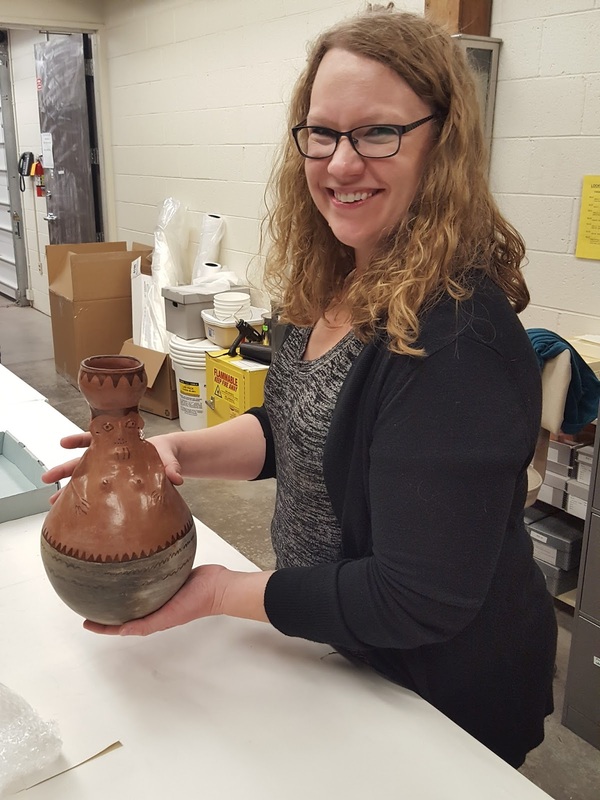 Some of the most significant pieces that came with this donation, according to Lindsey are not pottery vessels, "In addition to pottery, this donation included three polishing stones and a polishing cloth which were personally given to Jonne Spotts by the potter Grace Monahan. 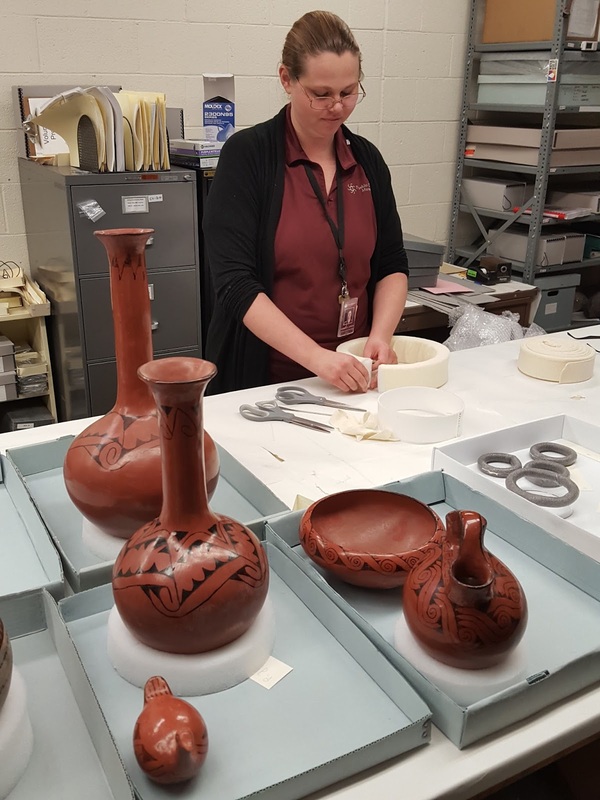 While the Museum has a few other polishing stones in our Maricopa collection, having ones that belonged to an identified potter is incredibly special." 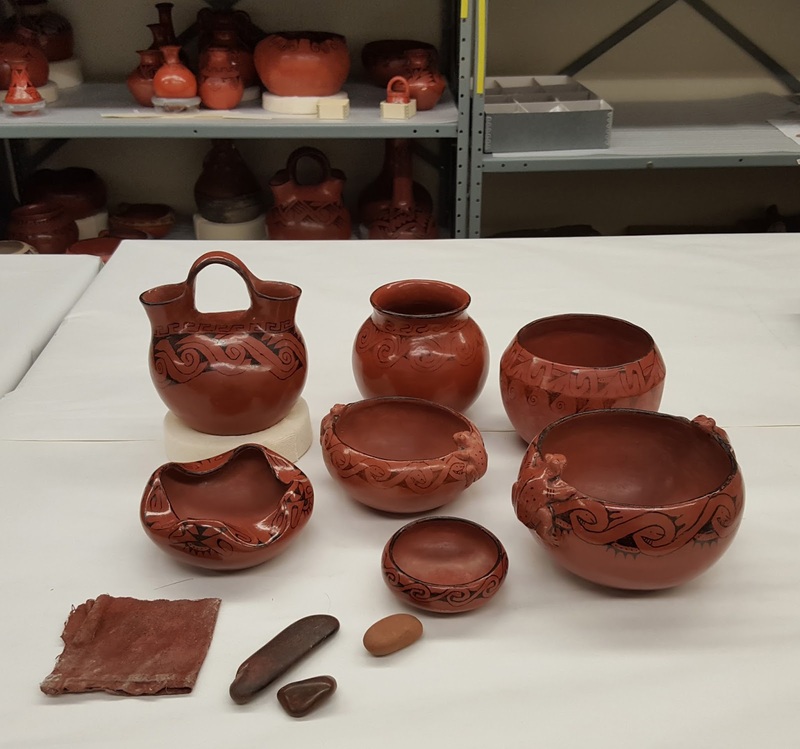 Since 2012, the three children of Jonne Spotts have donated 373 pieces of Maricopa pottery to the Museum. 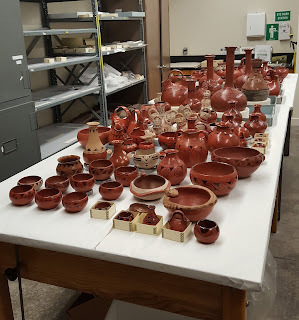 As a result of their generosity, the Museum now has one of the strongest collections of Maricopa pottery in the nation.